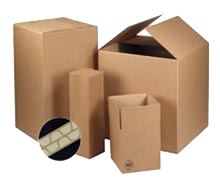 Our double wall boxes are made from superior twin-fluted corrugated cardboard and supplied to you flat and bundled in packs of 15 or 20 depending on size. Easy to store and assemble, they are the perfect solution for packing and shipping both fragile and heavy items, thanks to the heavy duty double wall material which provides strength and resistance to crushing. You’ll find the ideal box for your needs from our large range as the double wall boxes come in 25 different sizes and shapes. 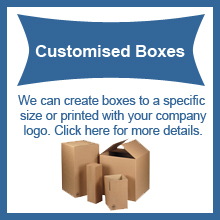 This packaging is also highly adaptable as you can customise it with our box sizer. For larger quantity prices, please contact the sales office. The extra strength and durability of our rigid double wall cartons means they have many uses, whether as storage boxes, shipping boxes or removal boxes. Made from top grade double wall corrugated board with a kraft paper finish, they are easy to seal using our adhesive packing tape. 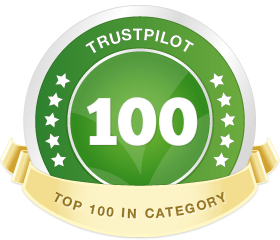 If you need additional security or if you have heavier items use our hot glue guns, which provide a clean strong, invisible, tamperproof seal. For additional wrapping and protection choose from our tissue paper, lightweight bubble wrap, air cushion or expanding foam packaging. For fragile items, don’t forget to stick special warning tapes on the outside. Our double wall cardboard boxes / cartons are environmentally friendly, being made from 75% recycled material and 100% biodegradable. Their strength means they’ll stand up to a lot of handling, allowing you to make use of them many times. The shown sizes for our cardboard boxes are the internal dimensions of the cardboard box once it is constructed, in the order length x width x depth.